What would you do if you won the lottery? We’ve all asked ourselves that question, haven’t we? 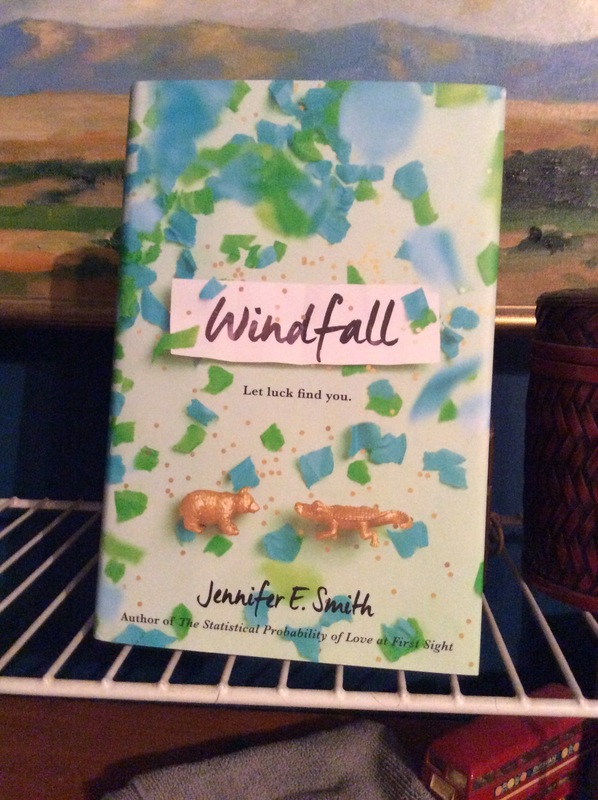 Jennifer E. Smith writes a realistic story about three teenagers, Alice, Leo, and Teddy. Teddy is turning seventeen and is legal, at least for the buying and winning of lottery tickets. Alice, who has liked Teddy for years as more than friends, buys him a lottery ticket for his birthday and against all odds, those numbers she chose makes him a winner. The winning of that ticket sidetracks her plans of finally telling him how she feels. Some of this book is pretty predictable. I mean, what would you expect of a teenage boy who wins the lottery? Yep, he goes crazy with the money, buying everything in sight and treating all of his friends. What makes this story unique are the intricacies of these kids personalities and back stories. Alice had been adopted by her Aunt and Uncle at age nine after her parents death. She struggles with feelings of self worth, wanting to please the memory of her parents with everything she does, that you begin to wonder who Alice really is and what Alice really wants out of life. Leo is gay and is going through a long distance relationship with his boyfriend who is a year ahead and has already gone off to college. Teddy, the winner of the lottery, is actually the son of an addicted gambler who abandoned he and his mother stealing all of their savings. Funny enough, Leo has the most normal storyline. One that quite a few of us have gone through and can relate with. It’s Alice and Leo’s story that drives this book and Ms. Smith did a good job of taking a big subject like winning the lottery and intricately weaving emotion, heart, and heartbreak through the glitz and glam of Teddy’s prize. It was my first book by this author and I really liked her style of writing. Of the two you mentioned, which one should I try next? Ooohh, I’m going to look it up right now, thanks for the recommendation!